Mmmmm... You're gonna love this one! It's a recipe from my sweet friend, Christal. (I only changed a couple of things.) 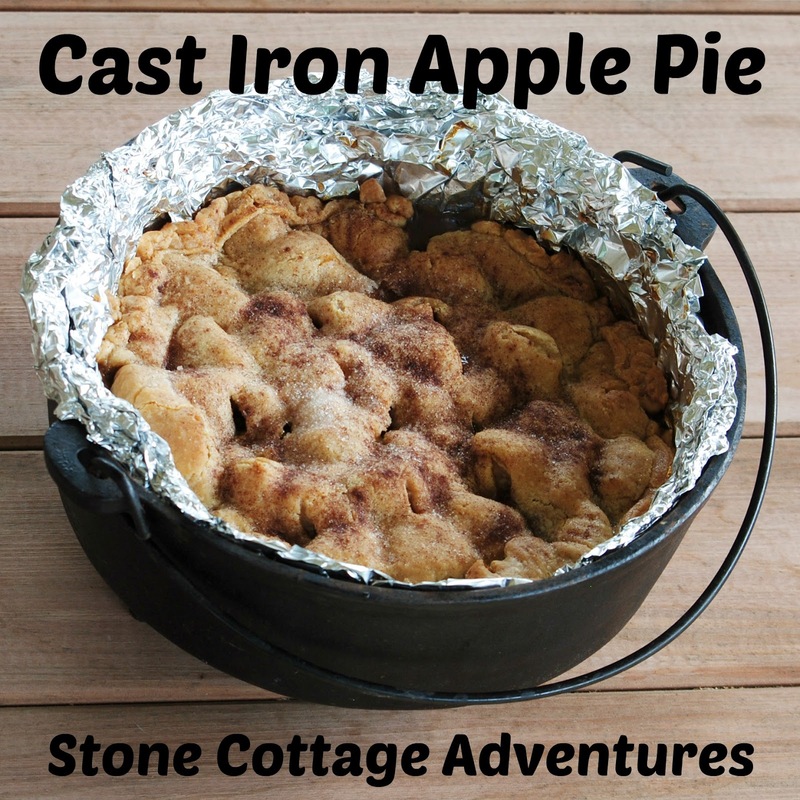 She bakes this recipe using a cast iron skillet, but warned sometimes it bubbles over. My skillet isn't very big, so I chose my #10 Dutch Oven, but did not use the lid. 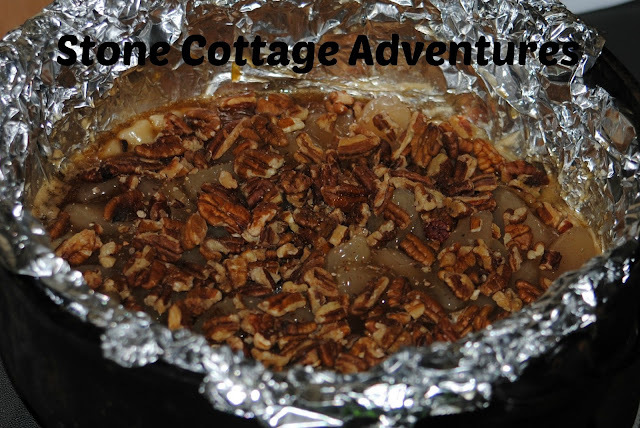 Whatever size skillet or Dutch oven you prefer, lining it with foil will quicken cleaning time. In the cast iron item of your choice ;-) melt butter on stove top. Add brown sugar and coarsely chopped apples. Cook on medium heat for about 2 minutes stirring occasionally. Remove from heat. 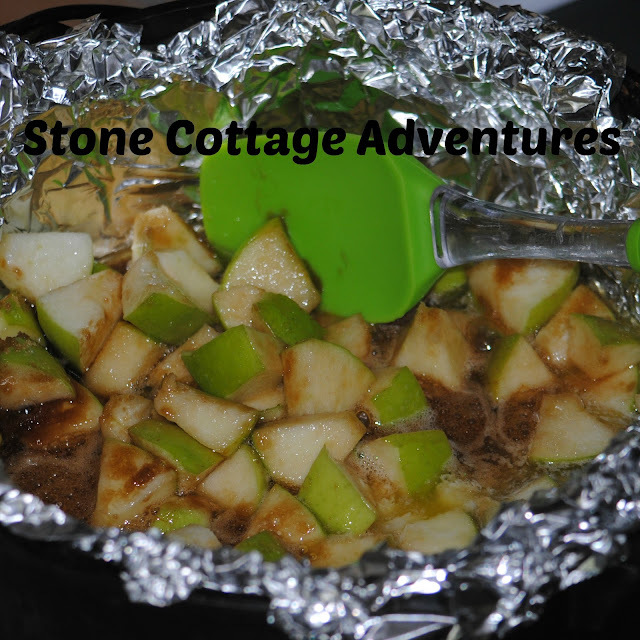 With a slotted spoon, scoop out the apples, but leave the buttery caramel goodness. Place one pie crust into the bottom of your skillet. Let it swim in all that yummy butter and cover it with the apple pie filling. 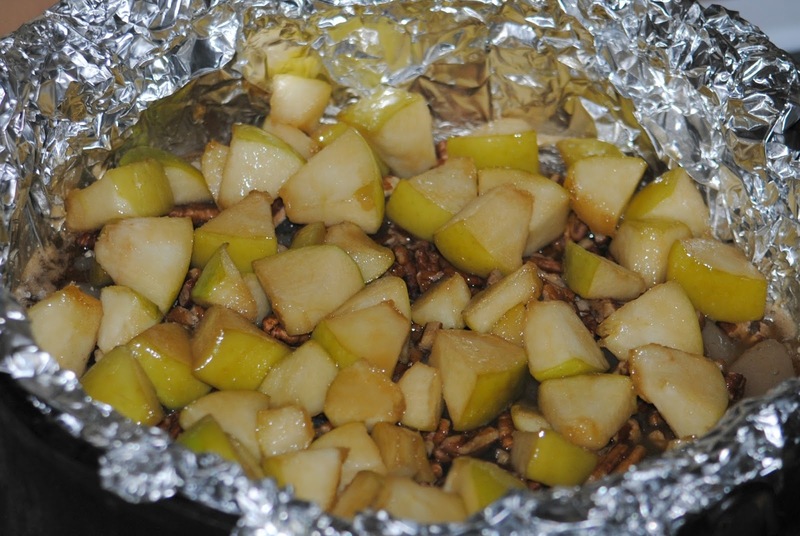 Add pecans and sprinkle with about 1 tablespoon cinnamon sugar. Layer the chopped apples next. 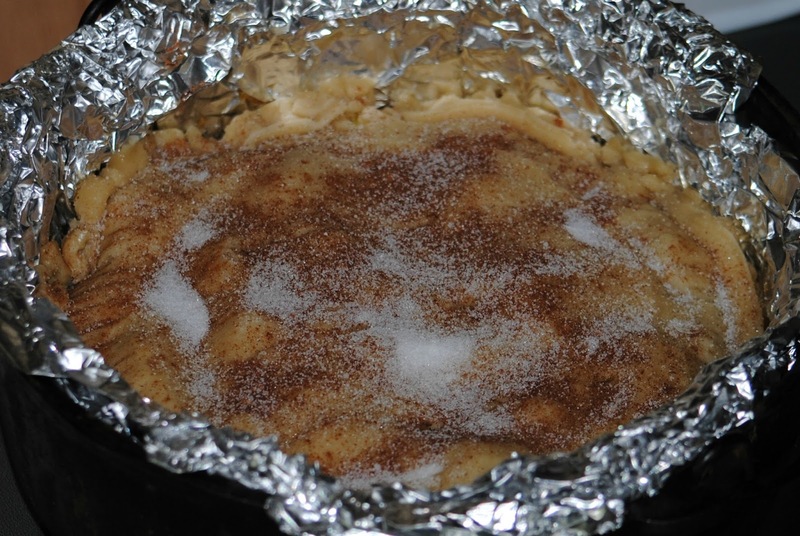 Cover with the second pie crust, cut vents, and sprinkle with remaining cinnamon sugar. Bake at 400 for 30 minutes until crust is golden brown. This is one scrumptious apple pie! I hope you enjoy this recipe! What have you been baking? Hello, your apple pie looks delicious. Sounds easy too. Thanks for sharing the recipe! Happy Friday, enjoy your weekend! You are making me hungry - it looks so good! delish! thanks for sharing the recipe for the cast iron apple pie recipe! I could use a serving or three now! Wow, this looks fabulous! I have not used my cast iron skillet in ages, I'm scared to use it. Thanks for sharing with Small Victories Sunday Linkup. Pinning to our linkup board and hope you found some great posts to visit this week! Marci, this apple pie looks amazing!! Thanks for sharing the recipe!! Thanks for linking up with Welcome Home Wednesdays, come join us tomorrow! Oh boy this looks so yummy! 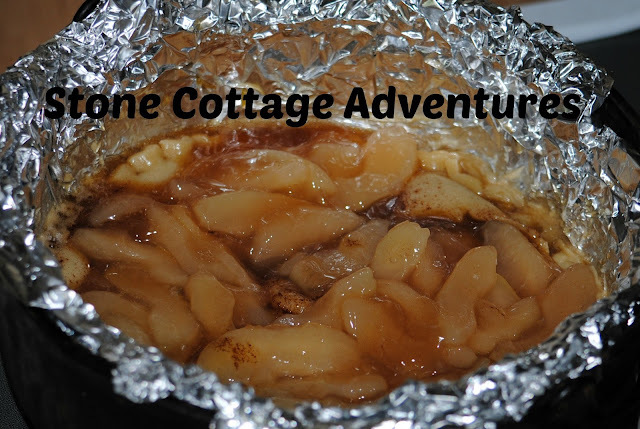 Apple pie is awesome! Looks deliciously easy! Thanks for sharing on the What's for Dinner link up! I bet this is good with an ice cold glass of milk! It looks heavenly.